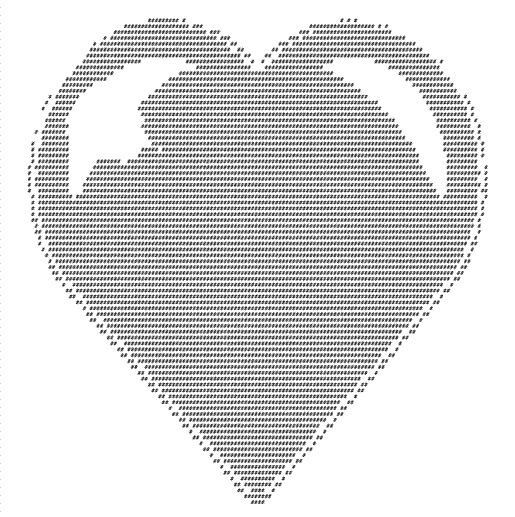 This ASCII Art Heart is from Doug's art drawing to JPG to ASCII art generator to this ASCII picture using ASCII code letters. I used a picture I drew, then scanned to a JPG image. Next I used a free ASCII art converter on the JPG which produced this image. Click here for Doug's art gallery of ASCII code smileys. They are a popular art form, be sure to check out Doug's collection. Click here to leave ASCII Art Heart for more links to artists and their online art galleries, art prints and art posters. Browse the links found at the bottom of Home Page. 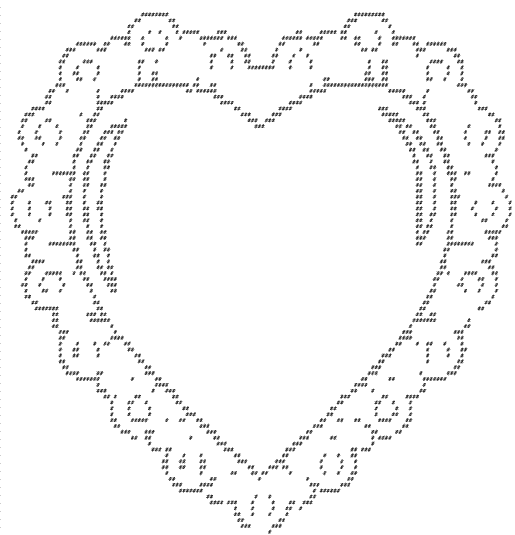 Do you like this ASCII art heart artwork?